RICHMOND / VA. cds with matching PAID / ms. “20” on Confederate States, NAVY DEPARTMENT, Official Business. 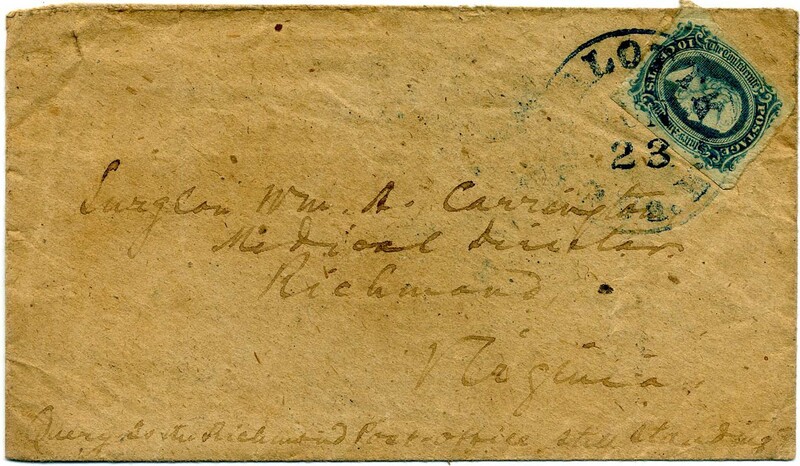 (ND-06, CCV $750) imprint on legal-size cover to (flag officer) Commander W[illiam]. W. Hunter, C.S. Navy, New Orleans, La., with manuscript "Charge Navy Dept." at top left, docketed "Authority to Act", slightly reduced, sealed tears and restoration to Very Fine appearance. Illustrated and described in July-Aug. 1996 Confederate Philatelist (copy accompanies) where author hypothesizes this may have contained orders to fortify the Texas coast around Galveston, which started around this time, ex Captain T. S. Dukeshire, collector of CSA Navy covers. $500. 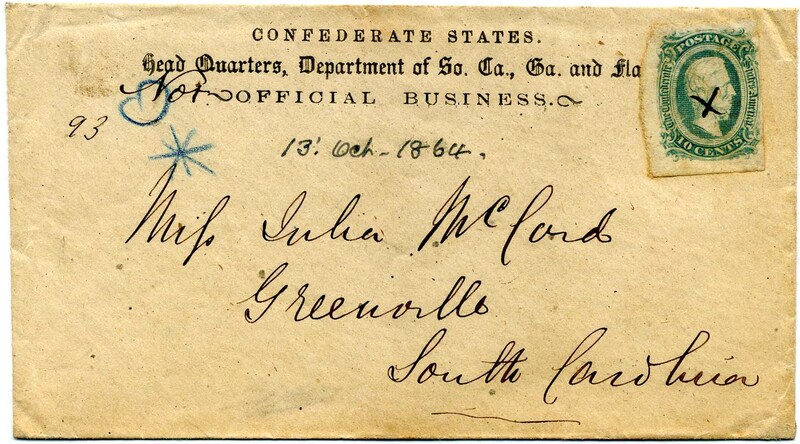 CSA 8, 2¢ brown red with full margins to slightly in, tied RICHMOND / VA. cds on legal-size cover with Confederate States NAVY DEPARTMENT, Official Business. imprint (ND-08, CCV $750 for common stamp) to Hon. James Lyons, M.C. House Reps, Richmond. Lyons was a Confederate congressman. DROP-LETTER RATE, reduced at right touching imprint and vertical folds, scarce Confederate Navy imprint. Ex MacBride. $900. James Lyons (1801-1882) was a Virginia politician who served in the Confederate Congress and as President Jefferson Davis' Counsel. CSA 12c, 10¢ bluish green vertical strip of three (defects), tied by two strikes of AUGUSTA / Ga. // JAN cds on legal-size cover to L. B. McCrory Bellvue, Talbot Co[unty] Ga. with manuscript "Due 20" at bottom, "C. S. Navy Agent" imprint (ND-22, CCV $750) and manuscript "Official Business / Augusta Ga", some cover creasing and flaws, scarce imprint and an UNUSUALLY HIGH 50¢ RATE, doubtless due to heavy contents. This is the black & white image used in the CSA Catalog and may be the only recorded use. I’ve never seen another. For sure, it’s RARE. $500. L.B. McCrory. The only person of this name I found was in Capt. James M. Russell’s Company, Salisbury’s Regiment, Georgia 5th State Guard Infantry, Dept S.C., Ga. & Fla. who volunteered and mustered into service August 4, 1863, for a period of six months at Columbus, Ga.
CSA 2-P, 10¢ dark blue Paterson tied bold RICHMOND / Va. // OCT / 30 / 1862 on semi-official imprinted Confederates States of America, Treasurer’s Office. 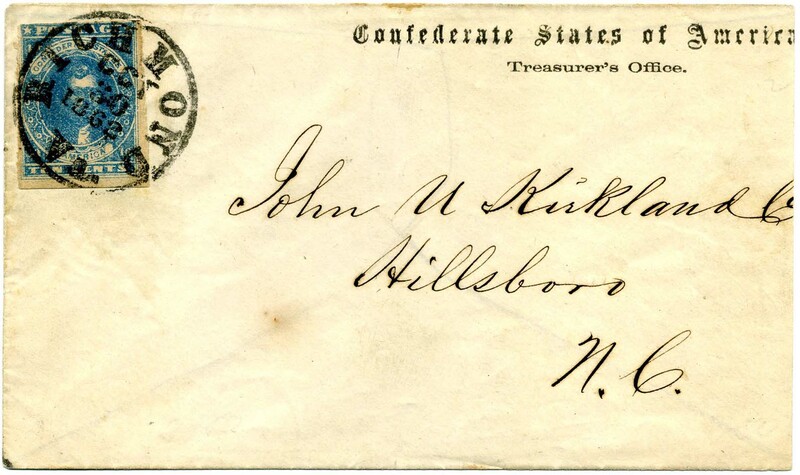 (TD-21, CV $350) to John M. Kirkland, Ca[shier] Hillsboro, N.C., slightly reduced at right grazing imprint and address. $250. RICHMOND / VA // SEP / 12 / 1861 cds with matching PAID / 20 (ms.) on legal-size imprinted envelope Confederate States of America, Treasury Department. (TD-11, CV $400), this is the catalog listing example, to T. W. Compton, Esq., Princeton, Ark[ansas], flap opening tear extending over top but away from markings, Scarce, Ex Telep and Gallagher. $250. RICHMOND / Va. // OCT / 19 / 1861 cds with matching PAID 10 on legal-size imprinted envelope Treasury Department, C.S.A., Second Auditor’s Office (Official Business.) (TD-37, CV $350), to Hon. Isham G. Harris, Governor of Tennessee, Nashville, Ten. ; across left end is written “Amt due for Stores transferred.” $250. Isham Green Harris served as Governor of Tennessee from 1857 to 1862. 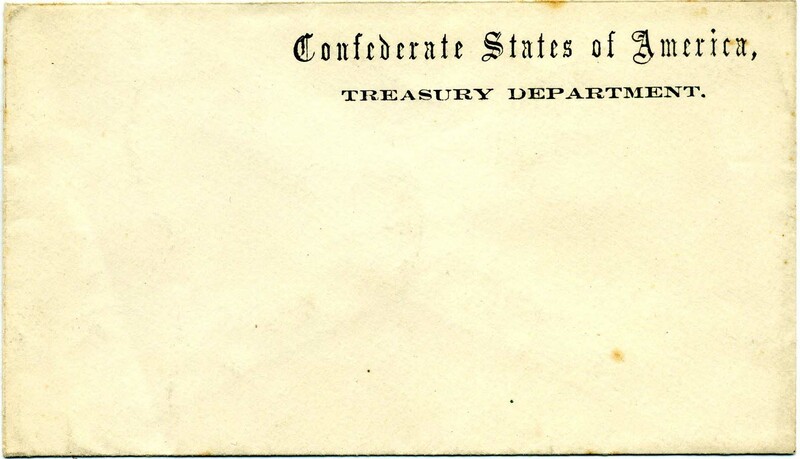 Confederate States of America, Treasury Department. Register’s Office. (TD-15) hand-delivered to W. B. Johnston, Esq., Montgomery, Ala. (5 ½” x 3 1/8 ”) Only a tracing available for CSA catalog, likely indicating a scarce imprint (CV $400 for postally used). Extremely Fine. $150. Confederate States of America, Treasury Department. Unused imprinted envelope (5 ¼” x 3”), (TD-01, CV $350 postally used), Very Fine. $60. Confederate States of America, Treasury Department. Unused imprinted envelope (5 ¼” x 3”), (TD-01, CV $350 postally used), Very Fine. $50. Treasury Department, C.S.A., Treasurer’s Office. 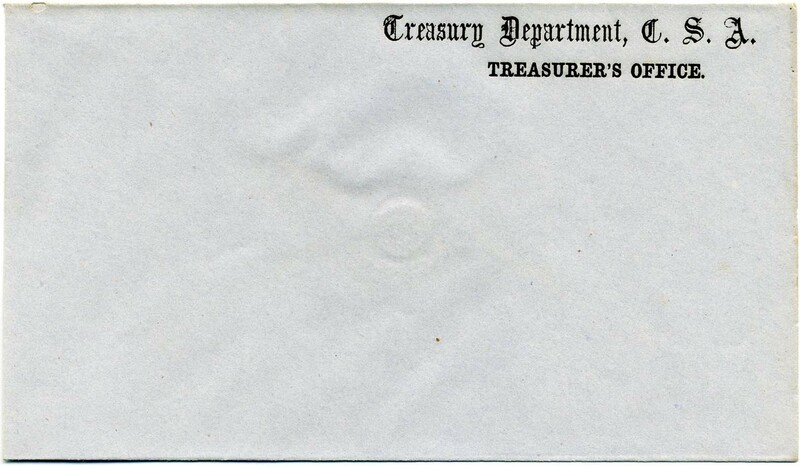 Unused imprinted envelope (5 ¼” x 3”), (TD-24, CV $350 postally used), Very Fine. $60. Treasury Department, C.S.A., Treasurer’s Office. Unused blue imprinted envelope (5 ¼” x 3”), (TD-24, CV $350 postally used), Very Fine. $60. 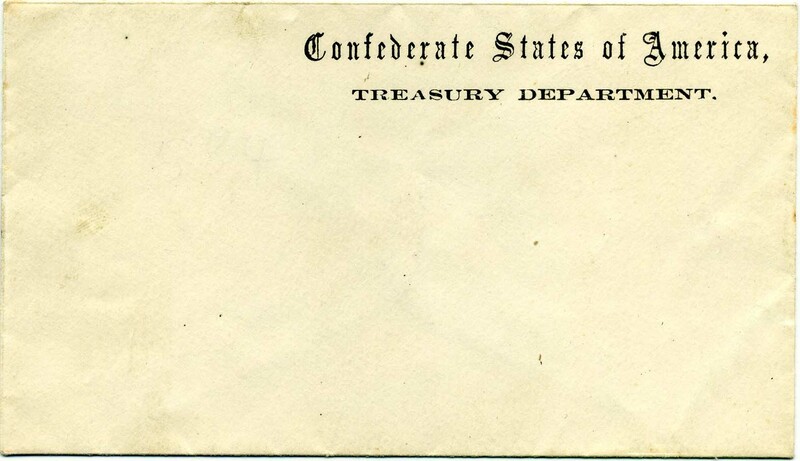 Confederate States of America, Treasury Department. First Auditor’s Office. 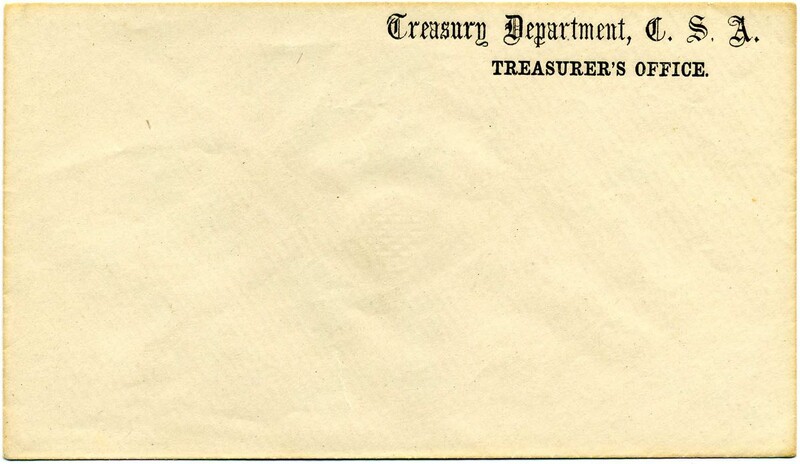 Unused linen-lined imprinted envelope, (7” x 4”), (TD-32, CV $350 postally used), typically used to send securities thus slightly oversized, Very Fine. $60. CSA 11-AD, 10¢ light blue (4 margins) tied RALEIGH / N.C. double-circle datestamp on imprinted envelope Adjutant General’s Office, Roll of Honor. (WD-AG-11, CV $750) with Official Business at left, docketed “May 2, 1864, Major James H. Foote,” to W. S. Pettigrew, Esq., Summerville, N.C. gently cleaned. Incredibly interesting group of military records at NARA for a clearly admired officer. I will likely write this story up for one of my columns. Rare imprint with great backstory. $450. James Henry Foote served as captain in Company I, NC 1st Infantry. CSA 2-Y (Scott 2-e), 10¢ light milky blue, two Stone Y singles tied together on legal-size envelope by blue COLUMBIA / S.C. // NOV / 13 cds on imprinted envelope of Head-Quarters, / Commissary General’s Department. (WD-CD-02, CV $400.) Addressed to W. F. B. Haynesworth, Esq, Secty. & Tr. S.B.R., Sumter, S.C. File folds and wear but very scarce use of more than one Stone Y on cover. $450. William Francis Baker Haynesworth was an attorney, judge advocate and prominent citizen of Sumter who at times acted as editor and publisher of the Sumter Banner. Confederate States of America. War Department. Engineer Bureau, (WD-EN-01, CV $500) Three-line imprint at lower left of small blue cover (heavy watermark and embossing under top back flap “Manufactured by Waterlow & Sons, 65 to 68 London Wall, London.” Addressed to Brig. 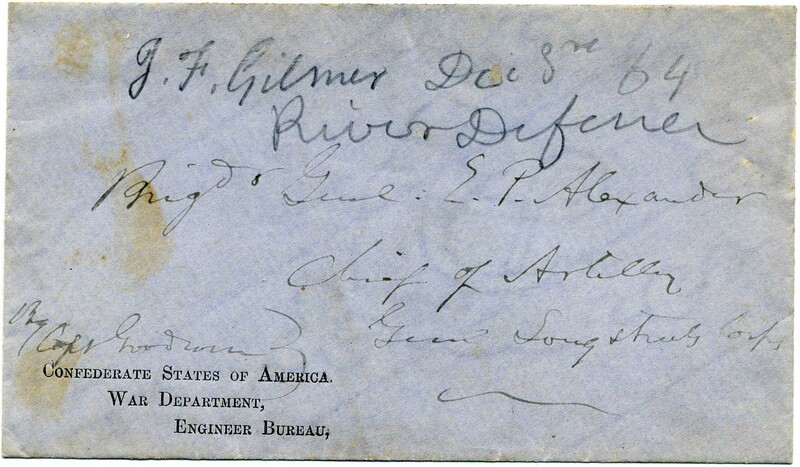 Gen. E. P. Alexander as "Chief of Artillery, Gen. Longstreet's Corps," SIGNATURE as [MAJOR GENERAL] "J. F. Gilmer Dec. 3rd 64 River Defense", Very Fine, military courier use as shown by manuscript directive at lower left to be delivered “By Capt. 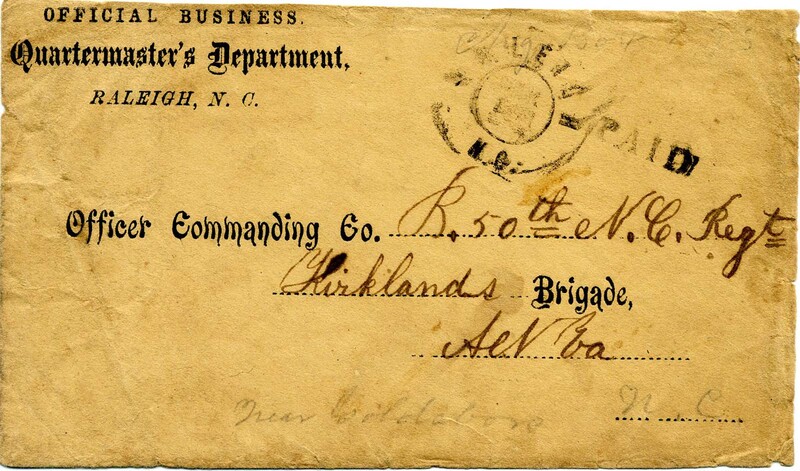 Goodwin.” (likely Archibald B. Goodwin of Va. 9th Infantry, Army Northern Virginia) MILITARY COURIER-DELIVERED BUSINESS LETTER FROM ONE CONFEDERATE GENERAL TO ANOTHER. GILMER AUTOGRAPH VALUE as well as scarce imprint and not one but two general officers. $700. Major General Jeremy Francis Gilmer was a soldier, mapmaker, and civil engineer most noted for his service as the Chief Engineer of the Confederate States Army during the Civil War. Brigadier General Edward Porter Alexander was a military engineer, railroad executive, planter, and author who was the officer in charge of the massive artillery bombardment preceding Pickett's Charge. CSA 11-AD, 10¢ dark blue (4 margins) tied blue CHARLOTTE C.H. / Va. // JUN / 23  cds on homemade cover to Surgeon Wm. 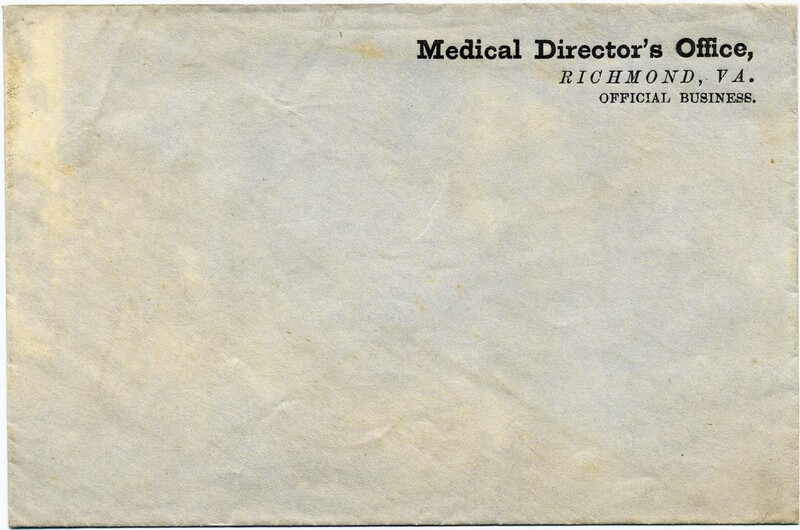 A. Carrington, Medical Director, Richmond, Virginia, with incredible note at bottom left, “Query Is Richmond Post Office still standing?” with interesting 2-page letter headed Charlotte C.H. June 22/64 (about 85 miles SE of Richmond) to Dr. Carrington from H. C. Alexander. Among other things, writer queries, “Do you remember what I said to you about Grant’s Army when you were fearing its approaches? Of course you do – not. But it has turned out as I said. Ought you not then to crown me as a prophet? In all events regard me as a affect[tionate] & faithful friend.” Ex Jackson. $230. Surgeon William Allen Carrington served as Medical Director of Hospitals, Department of Virginia, Richmond, Virginia. CSA 6, 5¢ blue vertical pair (pre-use crease / tear) tied RICHMOND / VA // JUL / 3 / 1862 on Confederate States of America, War Department, Surgeon General’s Office. (WD-MD-04, CV $400) imprinted envelope addressed to Surg[eon] William Taylor, Wilcox Division, A.N.V. (Army of Northern Virginia). Included is a very detailed bio from the unpublished biographical register of physicians who served the Confederacy in a medical capacity, courtesy of Drs. F. T. Hambrecht and J.L. Koste. Ex Hambrecht. $450. Surgeon William Taylor was assigned as surgeon to report to Gen. Robert E. Lee, duty with the 10th Alabama Infantry; he subsequently became Chief Surgeon General Wilcox's Division, Army of Northern Virginia. CSA 11, 10¢ blue used with RICHMOND / VA cds partly struck off cover at top, Confederate States of America, War Department, Surgeon General’s Office. 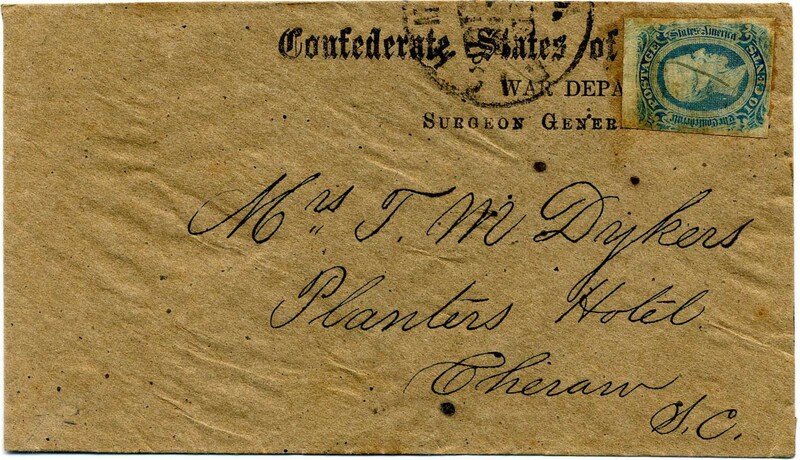 (WD-MD-04, CV $400) imprinted envelope addressed in bold hand to Mrs. T. M. Dykers, Planters Hotel, Cheraw, S.C. $200. The Cheraw Hotel--The Cheraw Hotel was once a stage tavern and boarded such notables as John C. Calhoun, Henry Clay and Sam Houston. CSA 12, 10¢ blue (4 margins) tied RICHMOND / Va. cds on Confederate States of America, War Department, Surgeon General’s Office. imprint envelope (WD-MD-04, CV $400) to W. W. Webb, Esq. Lunenburg C.H., Virginia. Very Fine. $300. 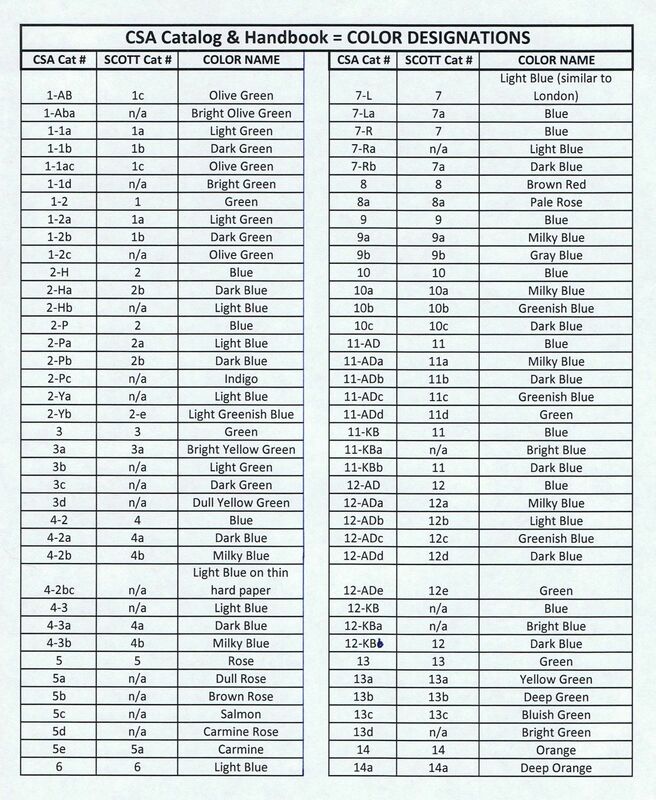 CSA 12-ADc, 10¢ greenish blue (4 margins) tied RICHMOND / Va. // SEP / 24  cds on Confederate States of America, Surgeon General’s Office. Official Business. legal-size blue imprinted envelope (WD-MD-06, CV $400) to Surg[eon] L. D. Ford, In charge Genl Hospital, August, Ga. File fold at center and a bit edge worn. $150. Dr. Lewis DeSaussure Ford (1881-1883) was first surgeon of the Georgia Hospital in Richmond to the close of the war. 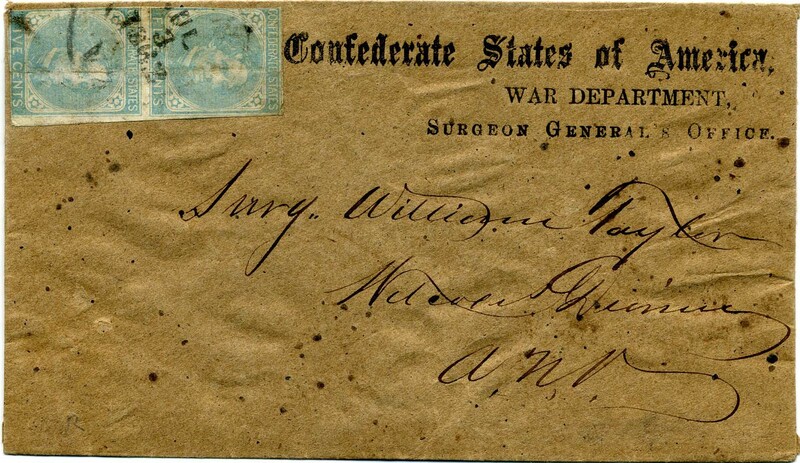 CSA 1, 5¢ olive green tied RICHMOND / Va. // DEC / 21 /1863 cds on Confederate States of America, Surgeon General’s Office. Official Business. (at left) legal-size imprinted envelope (WD-MD-03, CV $400) to Dr. W. F. Barr, Abingdon, Va. Light file folds and a bit edge worn. $200. 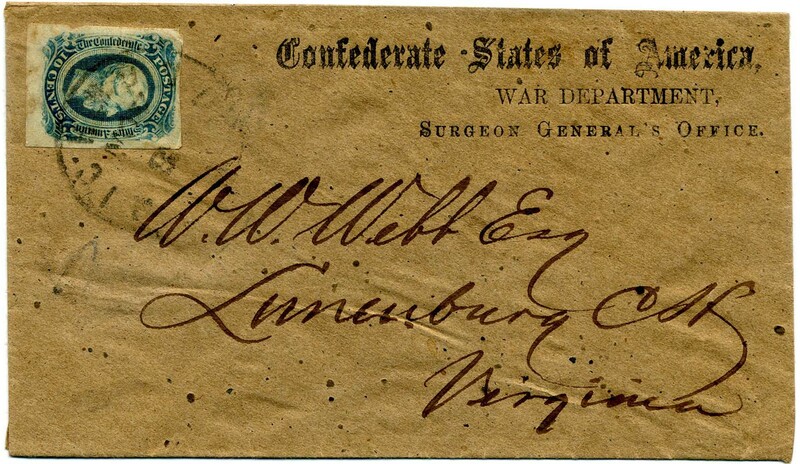 CSA 11-ADa, 10¢ milky blue tied partial strike of RICHMOND / Va. // JU / 2 / 1863 cds on blue legal-size cover addressed to Surg. E. Burke Haywood, Actg Med. Dir. of Hospital, Raleigh, N.C. with Confederate States of America. Surgeon General’s Office. / Official Business. (WD-MD-06, CV $400) Ex Wyche and Hambrecht. $450. Dr. Edmund Burke Haywood established the first Confederate hospitals in North Carolina. CSA 7-R-v4, 5¢ blue pair (filled in frames at bottom) tied RICHMOND / Va. // ? / 22 cds on legal-size envelope imprinted Confederate States of America. Surgeon General’s Office. / Official Business. 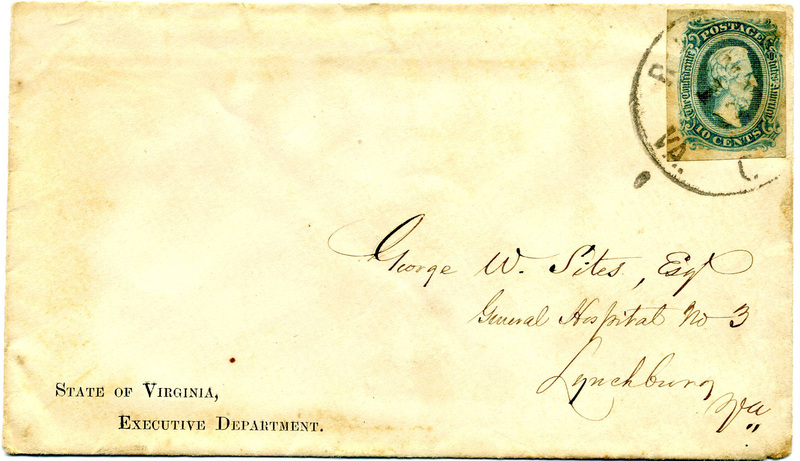 (WD-MD-06, CV $400) to Dr. R. F. Scruggs, Sweet Water, Monroe County, Tennessee. $200. Hand-delivered legal-size envelope imprinted Confederate States of America. Surgeon General’s Office. Official Business. (WD-MD-05, CV $400) to Hon. W. W. Clark, Ho. of Reps. CS, Richmond, Va. File fold well away from markings. $100. William White Clark (1819-1883) was a representative to the Confederate Congress from Georgia. 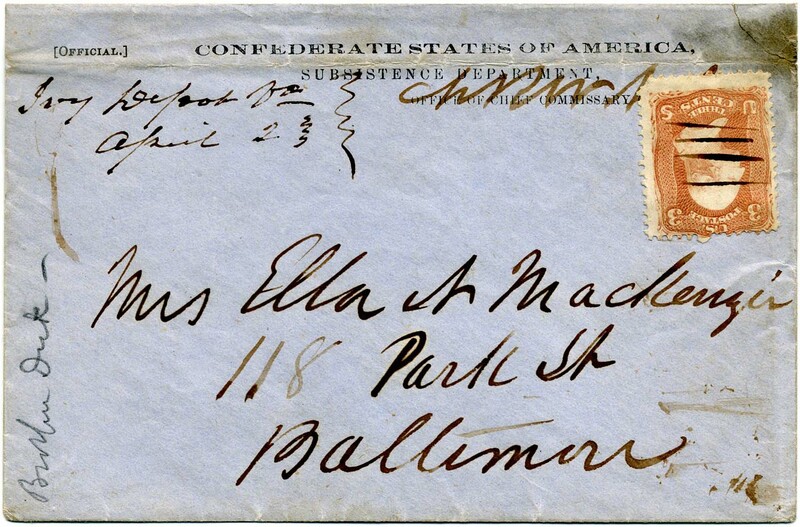 Hand-delivered envelope imprinted Confederate States of America. Surgeon General’s Office. Official Business. (WD-MD-10, CV $400) to Dr. R[obert]. P. Taliaferro, Richmond, Va. A bit war weary but very presentable example. Taliaferro was a medical officer in CS Army Field & Staff. $60. Medical Director’s Office. Richmond, Va. Official Business. (WD-MD-22, CV $500 when postally used) small unused imprinted pale blue envelope. Fine, scarce imprint. $75. Confederate States of America. Surgeon General’s Office. Official Business. (WD-MD-06, CV $400 when postally used) unused imprinted legal-size envelope (8 ¾” x 3 ¾”) $75. CSA 12-KB, 10¢ deep blue (4 large to huge margins all around) tied RICHMOND / Va. // APR / 24 cds on legal-size cover imprinted Confederate States of America., Surgeon General’s Office. / Official Business. t. (WD-MD-06, CV $400) to Surg. W. H. Hall, Medical Purveyor, Petersburg, Va. This is also a TURNED COVER with a N.C. use inside (pair of stamps missing but complete cds which I can’t quite make out), addressed to Mrs. Jno. H. Claiborne, Louisburg, NC; envelope folded down slightly all around. 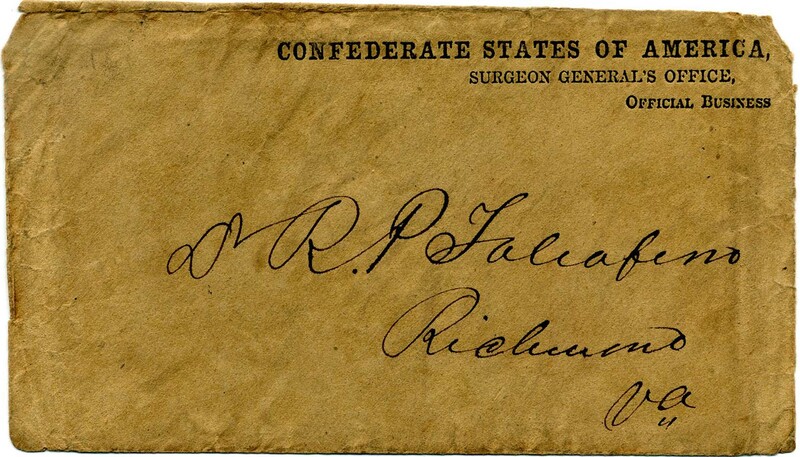 Greatly detailed bio included from the unpublished biographical register of physicians who served the Confederacy in a medical capacity, courtesy of Drs. F. T. Hambrecht and J.L. Koste. $350. Dr. William Hunt Hall was appointed Asst. Surgeon to rank in 1862 and served in both Va and NC. 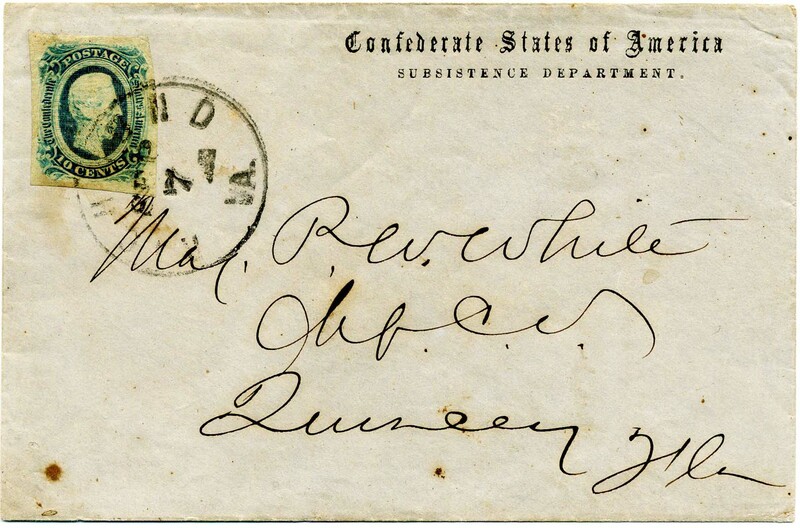 CSA 7-R, 5¢ blue pair tied blue TUSKEGREE / ALA double-circle postmark (degraded color) and ms. “March the 3d/63” on semi-official imprinted Confederate States of America, War Department, Quartermaster’s Department. [Official Business.] (WD-QM-05, CV $400) to Cadet H. Paine, Tuscaloosa, Ala. 1985 PF certificate. $200. Tuscaloosa Cadets. At the start of the war, the University of Alabama converted to a military form of governance, with its primary duty to produce new officers for the Confederate Army. The university soon became the "West Point of the South," supplying Confederate armies. CSA 12-KB, 10¢ deep blue (4 margins, gum stains) tied blue COLUMBIA / S.C. cds on pale green semi-official cover imprinted Official Business. C.S. Locomotive Shops, Raleigh, N.C. (imprint crossed out as private use, WD-QM-34, CV $750) to Lt. A. B. Shepperson, Salisbury, N.C.; small corner tear at upper left. Ex MacBride, Bogg and Kohn and Littlejohn. Scarce imprint. $200. 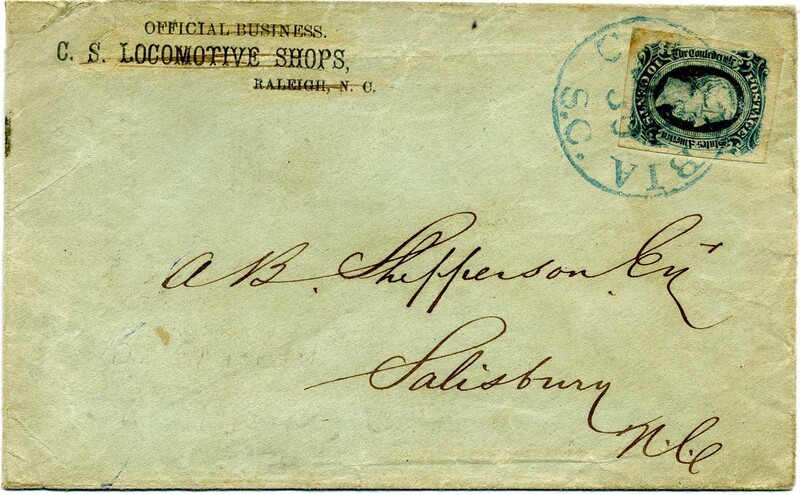 Alfred B. Shepperson served in Co. F, 59th VA Infantry but transferred into Co. C, 60th VA Infantry and then Co. H of 60th VA.
CSA 11-AD, 10¢ blue (large unevenly separated 4 margins) tied MACON / GA double-circle datestamp on semi-official cover imprinted C.S. Central Laboratory, (ordn.) Macon, Ga., / [Official Business.] which is an UNLISTED IMPRINT VARIETY similar to WD-OD-21 but with a longer line under Macon, Ga., different font for “O” of Ordn. as well as different spacing. Addressed to Walter Blake Esq., Pocotaligo, So. Ca. $450. Quartermaster’s Department, Confederate States of America. (with curly bracket at right) UNLISTED IMPRINT on small (5 ¼” x 3”) envelope addressed to Mr. B. F. Richardson(?)/Mt. ? with clearly penned docketing up left side “Taken from Vicksburg July 4, 1863” which conjures up visions of a fallen soldier who did not make it home – the day Vicksburg fell. $200. 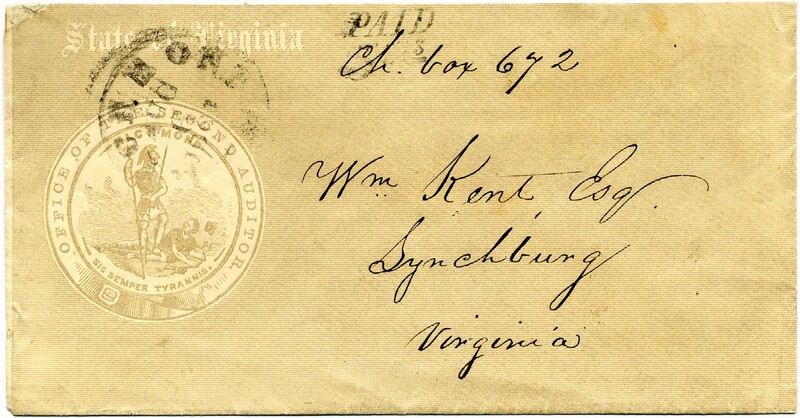 CSA 1, 5¢ olive green tied RICHMOND / Va. cds on legal-size envelope with imprint Confederate States of America, Quarter Master General’s Office (Official Business.) (WD-QM-09, CV $400) only listed in black and white in CSA catalog (this will be source for new image in future catalog), to Capt. Ro Thomas, AQM 16th Keah ? ? Co Coswell ? Yorktown, Virginia; gently cleaned and restored to Very Fine appearance. $190. 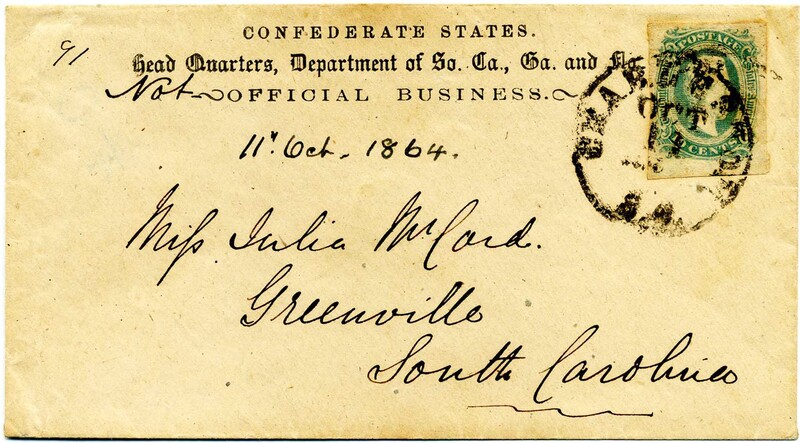 CSA 7-R, 5¢ blue vertical pair tied unidentified circular datestamp over ms. charge box marking on semi-official legal-size cover imprinted Confederate States of America, Quartermaster’s Department, (Official Business.) (WD-QM-05, CV $400) to Hon. Andrew P. Calhoun, Pendleton, So. Ca. $200. Andrew Pickens Calhoun was son of John C. Calhoun. 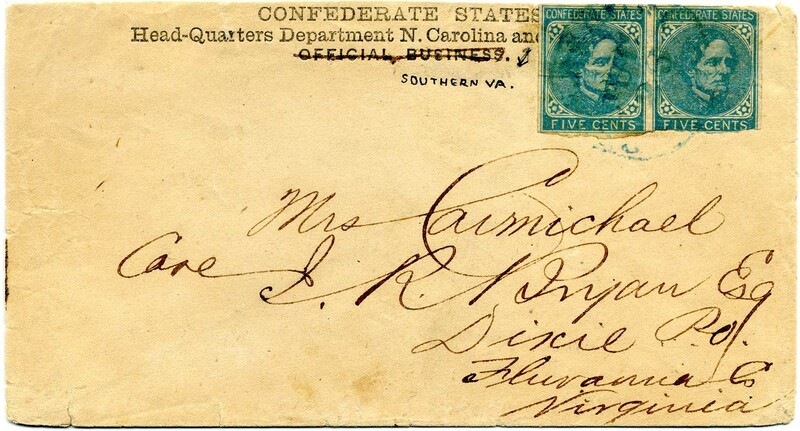 CSA 12, 10¢ dark blue (4 margins) tied RICHMOND / VA // SEP / 7 cds on pale blue envelope with imprint Confederate States of America, Subsistence Department (WD-SD-02, CV $350), to Maj. P. W. White, Chief Cl[erk] Quincy, Fla. Ex Judge Emerson, Cole. $350. Major Pleasant Woodson White was Chief Commissary Officer for Florida and commanded the depot at Quincy. 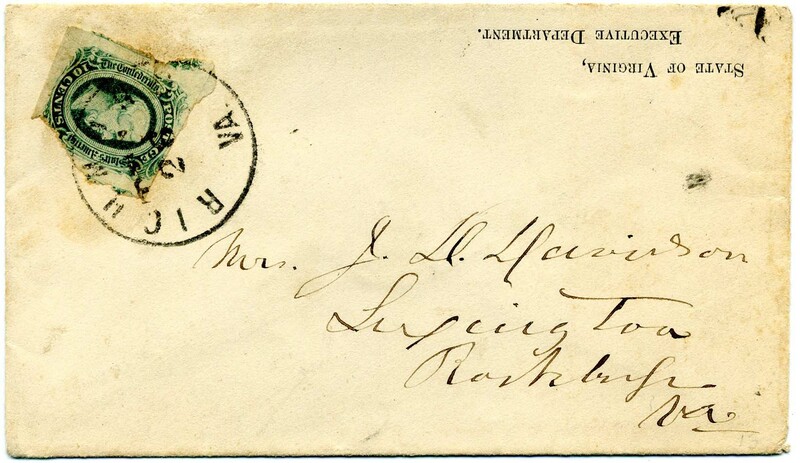 US 65, 3¢ rose used with manuscript postmark of Ivy Depot Va April 2 (1866?) 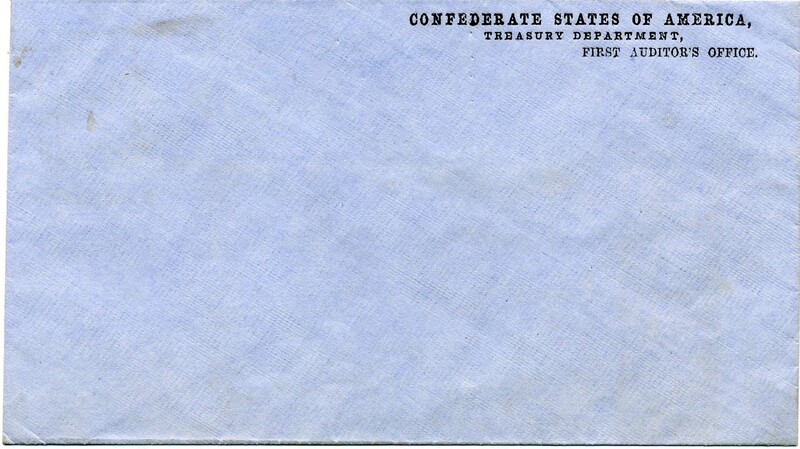 with charge box notation at top on pale blue semi-official imprint envelope Confederate States of America, Subsistence Department, Office of Chief Commissary of Virginia with [Official.] at upper left (WD-SD-12, CV $400), to Mrs. Ella A. MacKenzie, 118 Park Street, Baltimore [Maryland], pencil docket at left “Brother Duk.” Small stained sealed tear at upper right and soiled file fold across top. Jack Molesworth note on verso that it is a “captured” imprint, with price tag of $350. My take is that it is post-war. Either way, it is a very interesting item. $200. Ella Noland MacKenzie - interesting detailed biographical information on linked page. 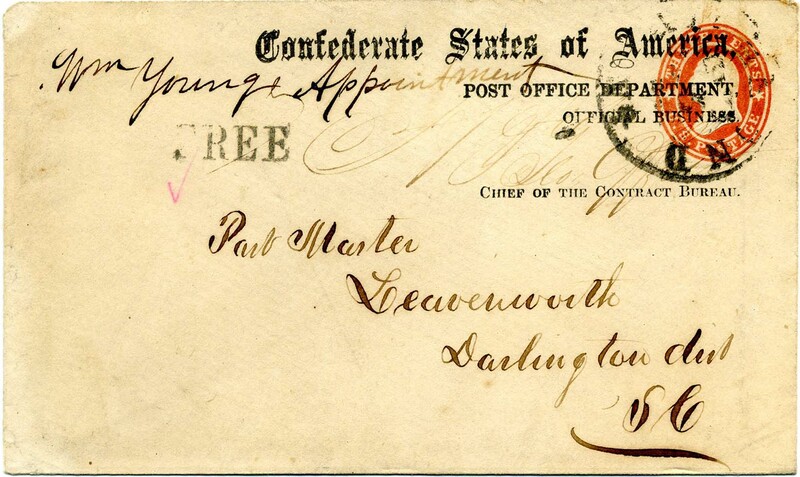 CSA 1, 5¢ green tied RICHMOND / Va. // MAR / 14 / 1862 (4 margins) on legal-size imprinted envelope Confederate States of America, Subsistence Department. 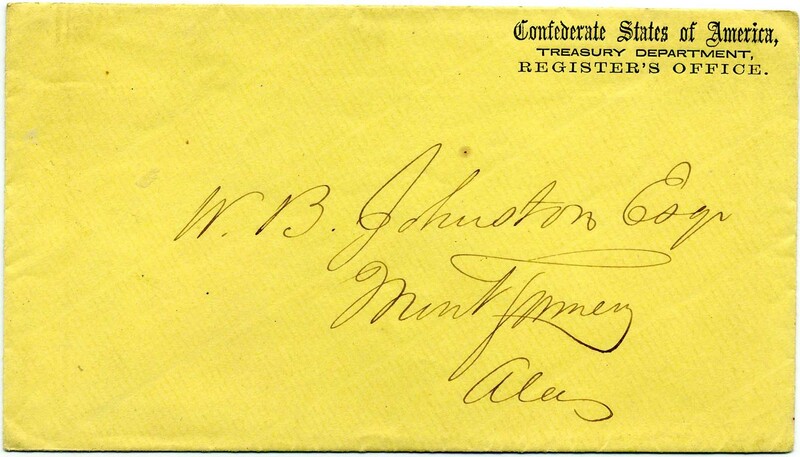 (WD-SD-03, CV $350), to John G. Moffitt, Morristown, Tenn. Sergeant John G. Moffett was Commissary Agent stationed at Morristown, Tenn, then New Market. $230. 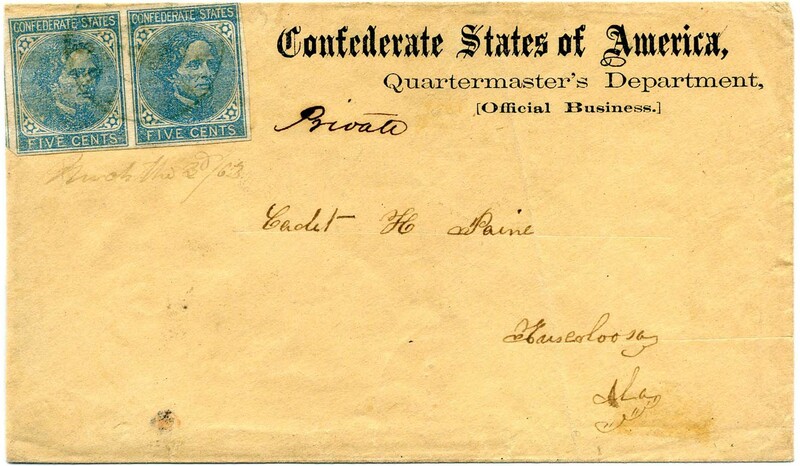 CSA 1, 5¢ green tied RICHMOND / Va. // APR / 7 / 1862 (4 margins) on legal-size imprinted envelope Confederate States of America, Subsistence Department. (WD-SD-04, CV $350), with additional “Due 5” in manuscript, to John G. Moffett, Com. Agt, Morristown, Tenn, which is crossed out and FORWARDED to his new station in New Market. Sergeant John G. Moffett was Commissary Agent stationed at Morristown, Tenn, then New Market. $300. 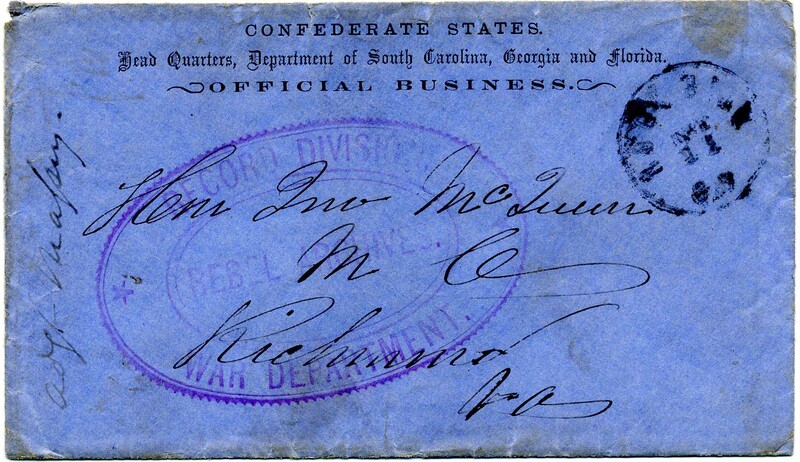 CSA 11-AD, 10¢ light blue (4 margins) tied CHARLESTON / S.C. // OCT / 11 cds on semi-official imprinted Confederate States. / Head Quarters, Department of So. Ca., Ga. and Flo. / Official Business. (WD-ZA-24, CV $750) with “Not” in manuscript in front of “Official.” Addressed to Miss Julia McCord, Greenville, South Carolina. Extremely Fine. Ex Littlejohn. Chronological letter date of “91” at top left. $450. Henry Wemyss-Feilden was Aide-de-Camp to the Commanding General of the Head Quarters, Department of So. Ca., Ga. and Flo. serving successively under Generals P. G. T. Beauregard, Samuel Jones, and William J. Hardee. CSA 11-AD, 10¢ light blue pair (tiny nick at top) manuscript canceled, doubtless sent from Charleston SC as is a known correspondence, on semi-official imprinted Confederate States. / Head Quarters, Department of So. Ca., Ga. and Flo. / Official Business. (WD-ZA-24, CV $750) Last line crossed out, as was private correspondence. 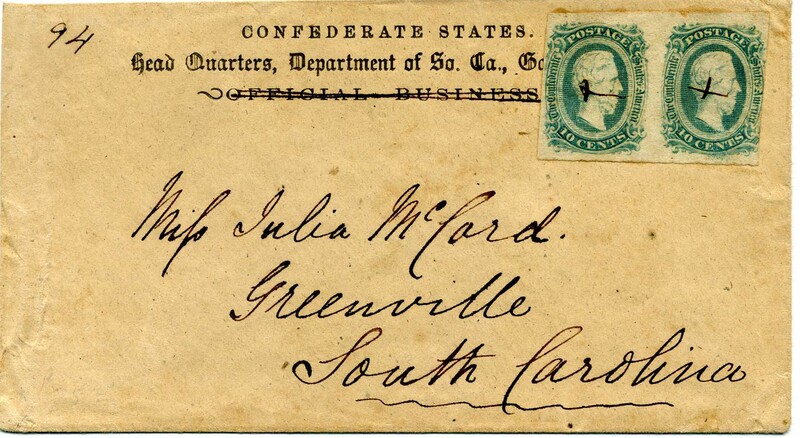 Addressed to Miss Julia McCord, Greenville, South Carolina. Extremely Fine. Chronological letter date of “94” at top left. $450. 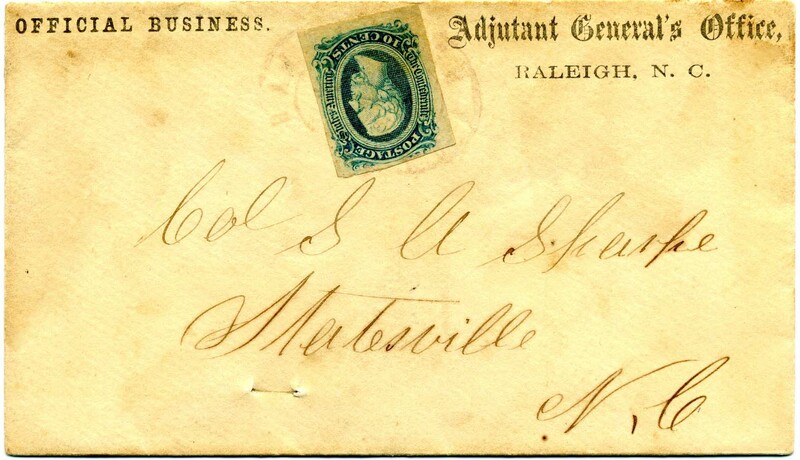 CSA 11-AD, 10¢ light blue (4 margins) manuscript canceled, doubtless sent from Charleston, SC, as known correspondence on semi-official imprinted Confederate States. / Head Quarters, Department of So. Ca., Ga. and Flo. / Official Business. (WD-ZA-24, CV $750) with “Not” in manuscript in front of “Official.” Addressed to Miss Julia McCord, Greenville, South Carolina. Very Fine. Ex Littlejohn. Chronological letter date of “93” at top left. $400. CSA 12-ADa, 10¢ milky blue left sheet margin tied CHARLESTON / S.C. // AUG / 9 cds on small blue semi-official imprinted Head Quarters, 1st Military Dist., Department of South Carolina, Georgia and Florida, Official Business. 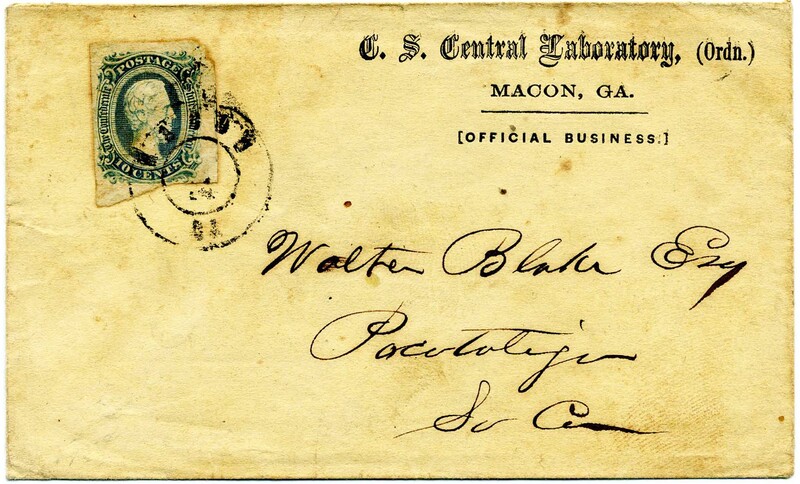 (WD-ZA-26, CV $750) to Joseph C. Habersham, No. 3. Liberty Street, Savannah, Ga. Box 513. SUPERB and RARE. Ex Judd. $750. Surgeon Joseph Clay Habersham served throughout the war in a medical capacity for the Confederacy as Assistant Surgeon, Surgeon and Brigade Surgeon. 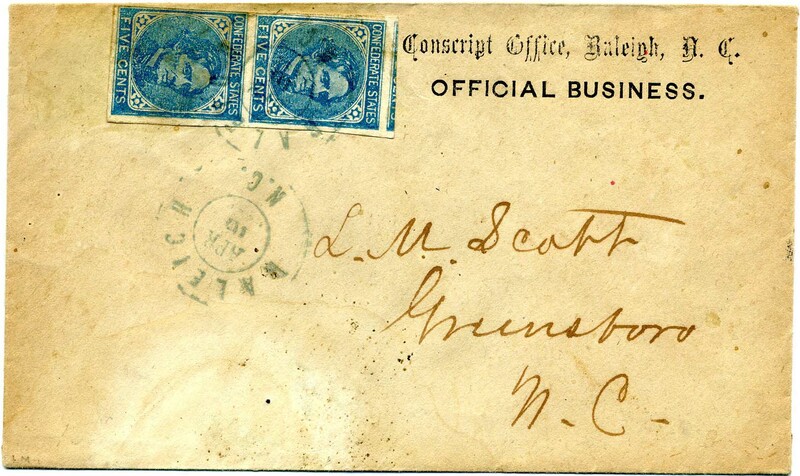 CSA 7-L, 5¢ blue pair tied blue cds over semi-official imprinted Confederate States, Head-Quarters Department N. Carolina and Southern Va., Official Business. (WD-ZA-15, CV $500) Only catalog-listed imprint for this department. Part of imprint hidden so collector wrote in portion of imprint not visible. to Mrs. Carmichael Care I. R. Bryan, Esq, Dixie P.O. Fluvanna Co[unty] Virginia. Slightly reduced at top with top back flap missing. Ex Kohn. $250. 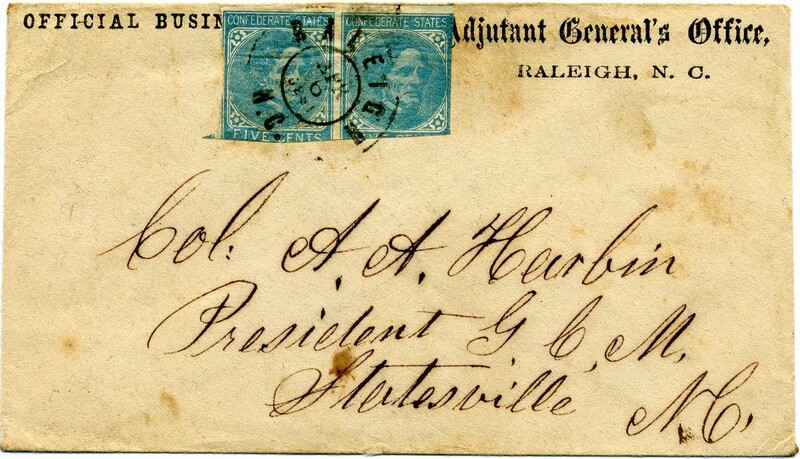 ROCK HILL / S.C. circular datestamp, no evidence of stamp or rate markings, on semi-official imprinted Confederate States, Head-Quarters Department of South Carolina, Georgia and Florida, Official Business. (WD-ZA-23, CV $750) to Hon Jno McQueen MC, Richmond, Va., with contents docketing up left side “Adjt. Massey,” large purple REBEL ARCHIVES / WAR DEPARTMENT double oval, part of back flaps missing. Very showy. $600. John McQueen was a congressman, Confederate official, lawyer, and planter. Detailed biographical information on linked page. 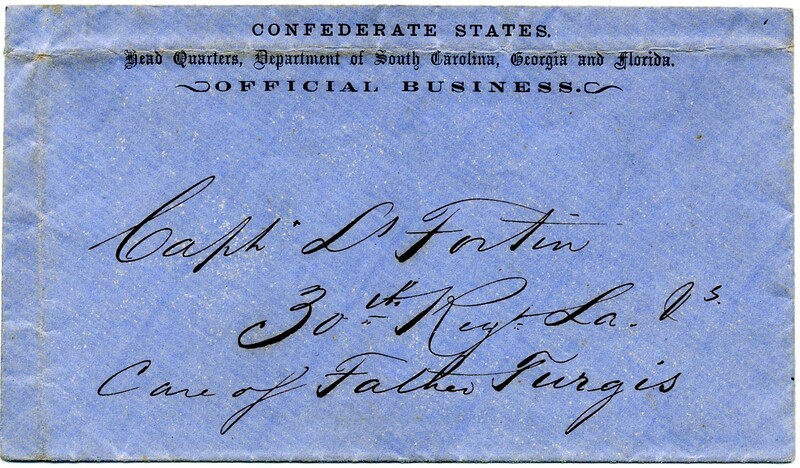 Hand-carried blue semi-official imprinted Confederate States, Head-Quarters Department of South Carolina, Georgia and Florida, Official Business. (WD-ZA-23, CV $750) to Capt. L. Fortin, 30th Regt. La. V[olunteer]s, Care of Father Turgis. File folds caused by heavy contents. $300. Louis Fortin served in Company F, Louisiana 30th Infantry, also known as the Sumter Regiment Infantry. CHARLESTON / S.C. // NOV / 1 / 186- cds with matching PAID 10 on legal-size imprinted Confederate States. Head Quarters, Department of South Carolina and Georgia. Official Business. (WD-ZA-21, CV $500). Listing copy for the catalog. To Brig. Genl. Howell Cobb, Athens, Georgia, charged to box 392. Bit edge worn, at upper left. $200. CSA 12-ADc, 10¢ bluish green tied red RALEIGH / N.C. // JAN / 10 dcds on imprinted state semi-official Adjutant General’s Office, Raleigh, N.C. at left: Official Business. (S-NC-09, CV $400). to Maj. J. Jenkins, 25th Batt. H.G. (Home Guards), Shelby, N.C. Cover scuff/erosion at top right and most of top back flap missing. $150. RALEIGH / N.C. dcds with matching PAID  on imprinted state semi-official Official Business, Office of Chief Quartermaster, Raleigh, N.C. (S-NC-30, $400) to Surgeon E. Burke Haywood, Raleigh, N.C. Ex Wyche and Zimmerman. $400. 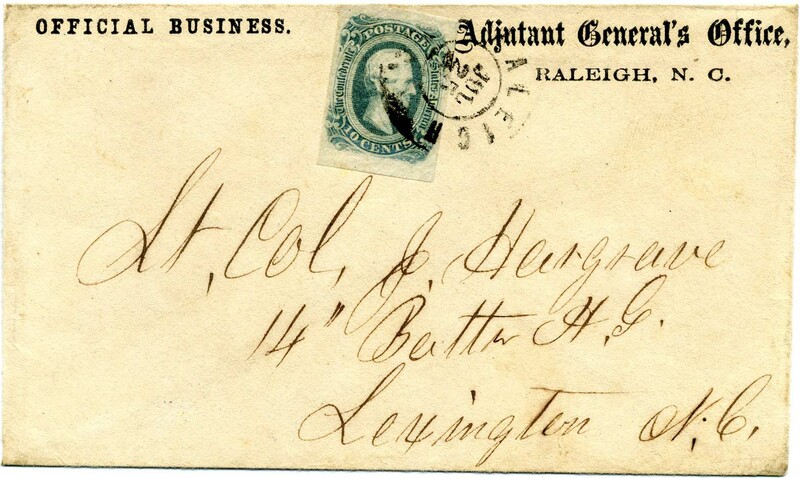 CSA 11-AD, 10¢ blue left sheet margin tied RALEIGH / N.C. // JU- / 6 dcds on imprinted state semi-official Adjutant General’s Office, Raleigh, N.C. at left: Official Business. 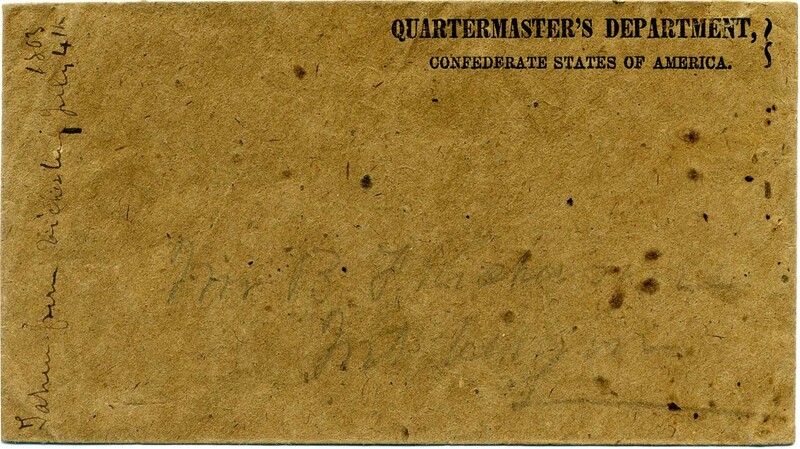 (S-NC-10, CV $400) to Maj. J. Jenkins, 25th Batt. H.G. (Home Guards), Shelby, N.C., Ex John R. Hill. $250. CSA 12-ADc, 10¢ greenish blue tied RALEIGH / N.C. // JUL / 25 dcds on imprinted state semi-official Adjutant General’s Office, Raleigh, N.C. at left: Official Business. (S-NC-10, CV $400) to Lt. Col. J. Hargrave, 14 Batt. H.G. (Home Guards), Lexington, N.C. $300. Jesse Hargrave served in Company I, NC 14th Infantry (State Troops) and 4th Regt North Carolina Infantry. 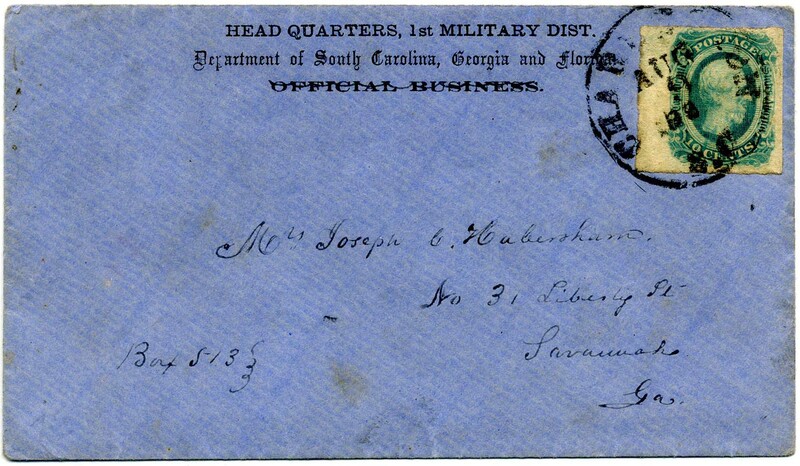 CSA 7-L, 5¢ blue pair (small faults) tied by RALEIGH / N.C. // APR / 6 double circle datestamp on imprinted state semi-official Adjutant General’s Office, Raleigh, N.C. at left: Official Business. (S-NC-10, CV $400) to Col. A. A. Harbin, President G.C.M., Statesville, N.C. Ex Littlejohn. $250. CSA 11-AD, 10¢ blue tied oxidized red ink of RALEIGH / N.C. dcds on imprinted state semi-official Official Business. Adjutant General’s Office., Raleigh, N.C. (S-NC-09, CV $400) to Col. A. A. Sharpe, Matesville, N.C. $150. 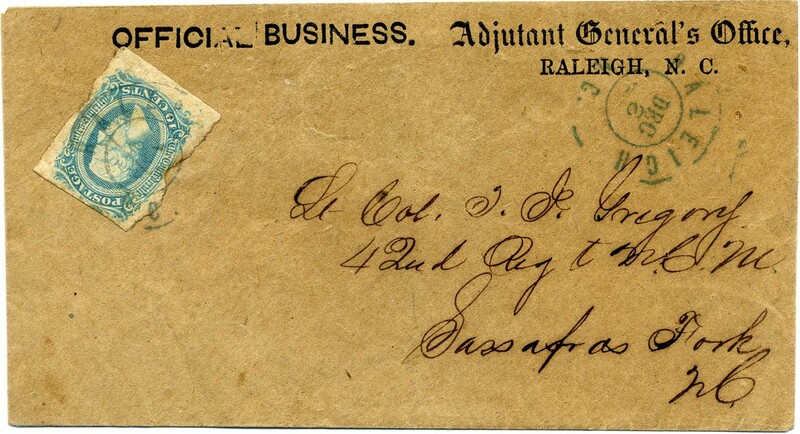 CSA 7-R-v4, 5¢ blue vertical pair (filled in frame at right) tied blue RALEIGH / N.C. dcds on imprinted state semi-official Conscript Office, Raleigh, N.C., Official Business. (WD-CN-08, CV $500) to L.M. Scott, Greensboro, N.C. Scarce imprint. $300. RALEIGH / N.C. blue dcds with matching PAID (no rate) on imprinted state semi-official Head Quarters Camp of Instruction, Raleigh, N.C., with Official Business. at left. 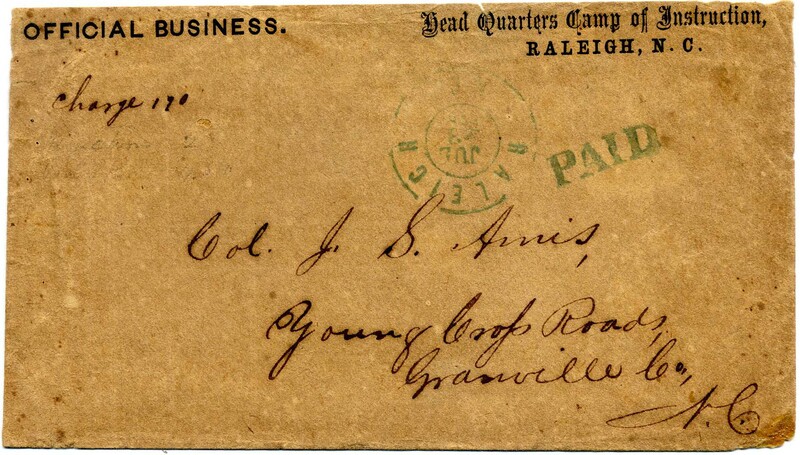 (WD-CN-19a, CV $500) to Col. J. S. Amis, Young Cross Roads, Granville Co[unty] N.C. and Charge [box] 190, top back flap missing, Scarce. $250. 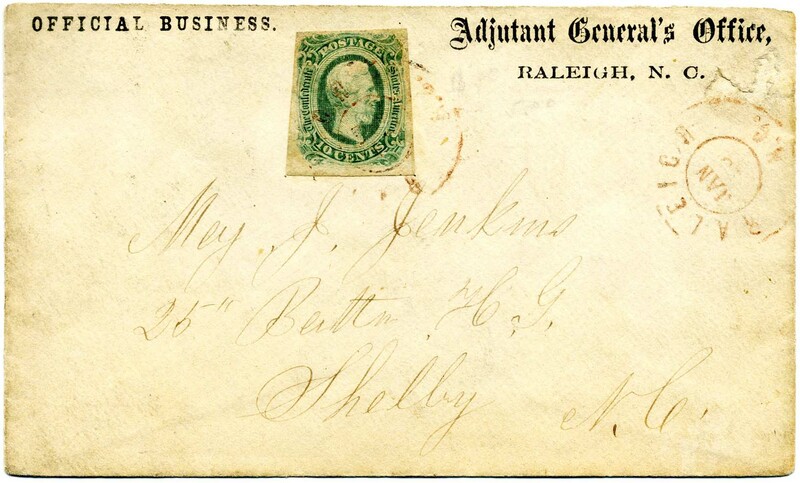 CSA 11-AD, 10¢ blue tied RALEIGH / N.C. // 11 Dec 1863 dcds on imprinted state semi-official Official Business. (at top left) Ordnance Department, Raleigh, N.C. (S-NC-20, CV $400) to Maj. A. A. Harbin, Mocksville, N.C. Ex Judd. $300. RALEIGH / N.C. dcds with matching PAID (no rate) on imprinted state semi-official Official Business. Quartermaster’s Department, Raleigh, N.C. (S-NC-29, CV $400). Pre-printed envelope to Officer Commanding Co. B, 50th N.C. Regt., Kirkland’s Brigade A.N.Va., and in light pencil “near Goldsboro NC.” Missing top back flap and bit war weary but unusual. $150. 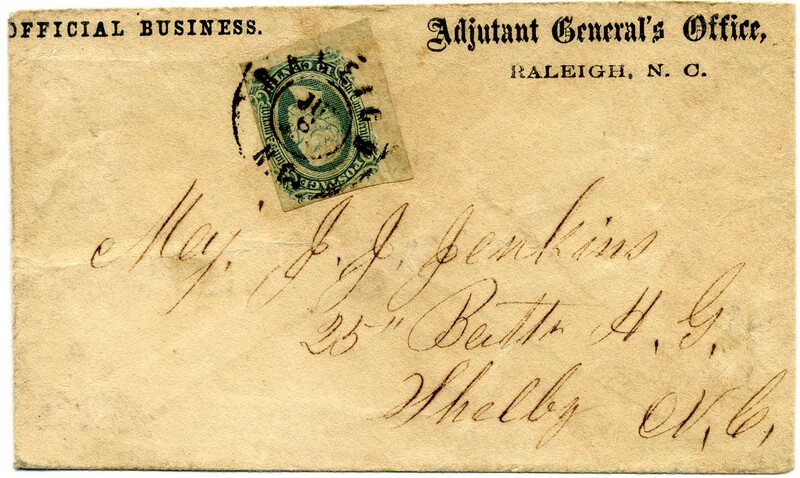 CSA 7-R, 5¢ blue pair (4 margins) tied blue RALEIGH / N.C. // JAN / 1 / 1863 double circle cancel on legal semi-official cover with UNLISTED imprint of Ordnance Department, Raleigh, N.C., with OFFICIAL BUSINESS. at left; similar to CSA Catalog type S-NC-23 (CCV $400). Addressed to Lt. Col. F. I. Gregory, 42nd Regt. N.C.M., Sassafras Fork, N. Ca. ; light file folds, cover toning and slight reduction at ends by refolding. ONLY IMPRINT RECORDED. $250. 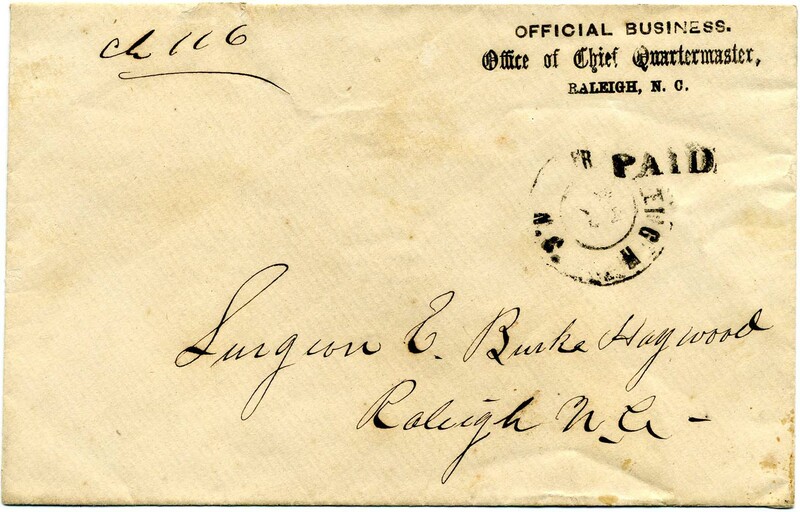 RALEIGH / N.C. double-circle datestamp with matching PAID (no rate) on legal-size envelope imprinted Conscript Office, Raleigh, N.C. with [Official Business]. at upper left. (WD-CN-07, CV $500) pre-printed envelope To the Enrolling Officer (Mr. Jno D. Williams) For Cumberland County, Fayetteville, N.C. Scarce! $300. 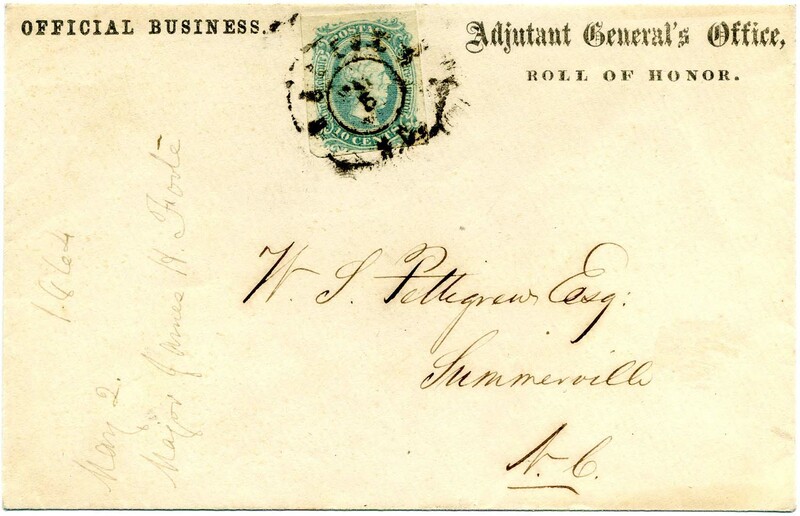 CSA 12-ADc, 10¢ bluish green (4 large margins) tied RALEIGH / N.C. dcds on legal-size envelope imprinted Adjutant General’s Office, Raleigh, N.C. with Official Business. at upper left. (S-NC-11, CV $400). There is only a black and white tracing of this in the catalog, which makes this variety scarce. 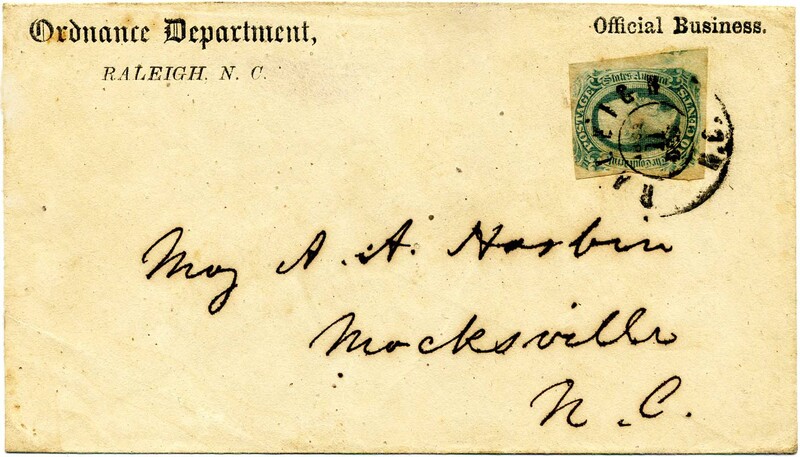 Addressed to Maj. Jesse J. Jenkins, 25th Batt[alion] H[ome] G[uards], Shelby, N.C. Toning along left edge. $150. Quartermaster’s Department, Salisbury, N.C., Official Business. imprinted unused legal-size envelope (7 3/4” x 3 ½”) (S-NC-33, CV $400 postally used), Very Fine $100. 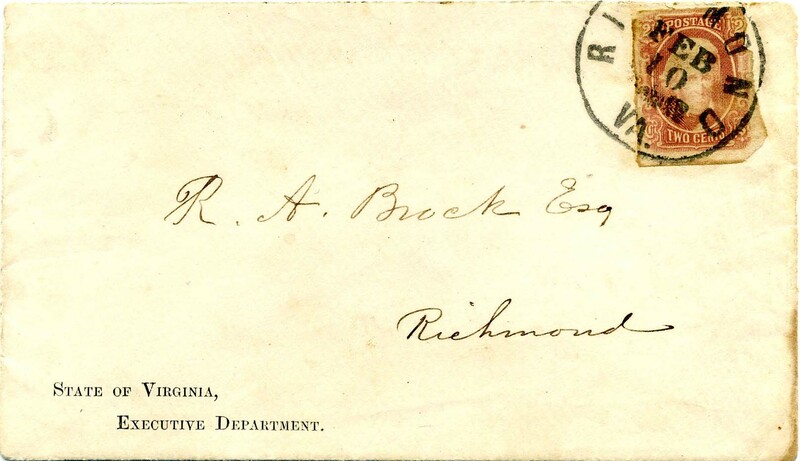 CSA 8, 2¢ brown red with large margins to in where separated unevenly prior to use, tied well-struck RICHMOND / VA. // FEB / 10 cds on cover locally addressed by Governor John Letcher to R. A. Brock, Esq. with State of Virginia, Executive Department imprint (S-VA-01, CV $500) at lower left, embossing under top back flap “Manufactured by Waterlow & Sons, 65 to 68 London Wall, London.” Very Fine. Ex Snead III. $1,000. Robert Alonzo Brock donated an enormous collection of Civil War documents to the Huntingdon Library in San Marino, Ca. comprised of his own private and official correspondences. John Letcher is best known as Virginia’s Civil War-era governor. 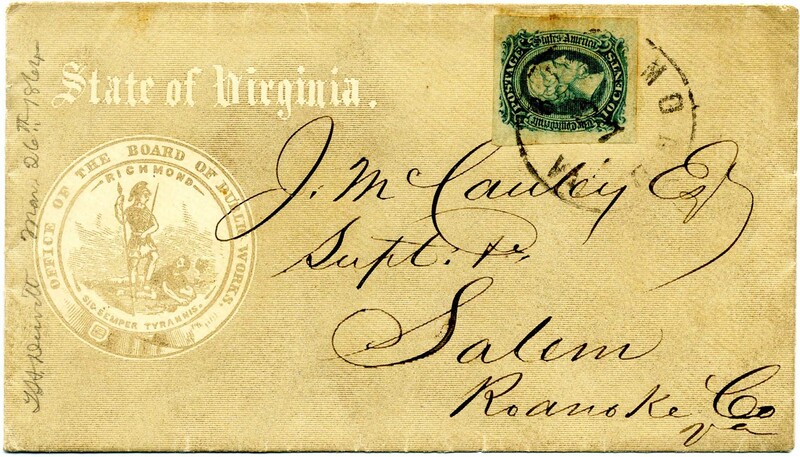 CSA 12-ADc, 10¢ bluish green (small faults) tied RICHMOND / VA. // DEC / 26 cds on cover addressed by Governor John Letcher to Mr. J. D. Davidson, Lexington, Rockbridge [County] Va. with State of Virginia, Executive Department imprint (S-VA-01, CV $500) at lower left of envelope which is addressed upside down thus placed it at upper right, embossing under top back flap “Manufactured by Waterlow & Sons, 65 to 68 London Wall, London.” On verso is a note by Letcher, “If you want to send me a telegram write to N. K. Fant, Mayor of S. ? to Despatch to you & I will get it. Letcher.” Ex Whittle. $350. John Letcher is best known as Virginia’s Civil War-era governor. 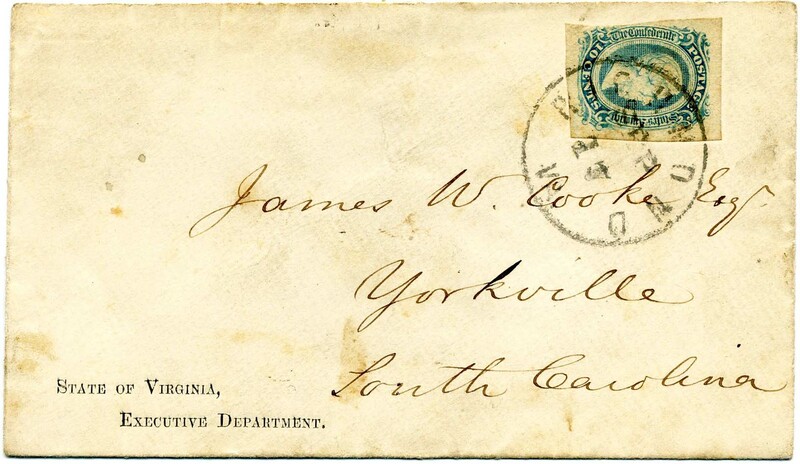 CSA 11-ADc, 10¢ bluish green (huge margins to touching at left) tied RICHMOND / VA. // SEP / 17 cds on cover to James W. Cooke, Esq., Yorkville, South Carolina, with State of Virginia, Executive Department imprint (S-VA-01, CV $500) at lower left of envelope, embossing under top back flap “Manufactured by Waterlow & Sons, 65 to 68 London Wall, London.” $300. CSA 12-ADc, 10¢ bluish green (huge margins to touching at left) tied RICHMOND / VA. // JAN / 19 cds on fresh cover to Wm. 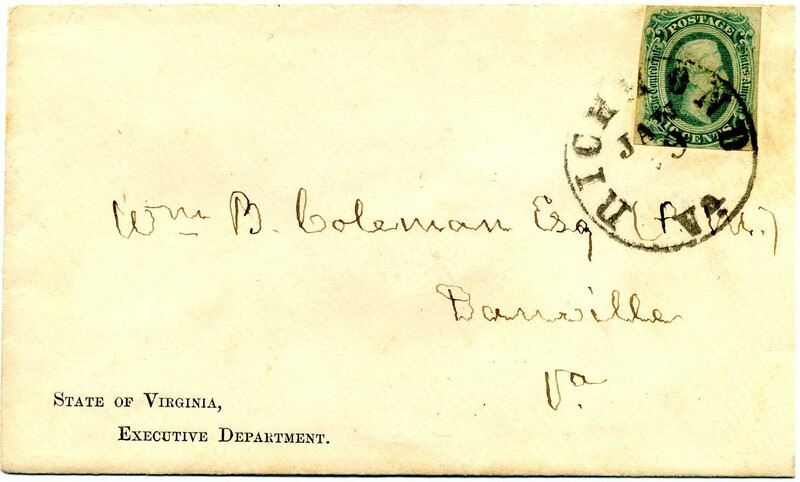 B. Coleman, Esq, (P.M.), Danville, Va., with State of Virginia, Executive Department imprint (S-VA-01, CV $500) at lower left of envelope, embossing under top back flap “Manufactured by Waterlow & Sons, 65 to 68 London Wall, London.” Coleman was the postmaster at Danville who created the Danville postmaster’s provisionals. $350. CSA 11-AD, 10¢ blue (large to huge margins all around) tied RICHMOND / VA. // MAR / 27  cds on all-over illuminated envelope State of Virginia. with Virginia Seal / Office of the Board of Public Works, (S.-VA-09, CV $750) to J. McCauley Esq., Supt, Salem, Roanoke Co[unty] Va. with pencil docketing “T. H. Dewitt Mar. 26th 1864.” $700. CSA 11-AD, 10¢ blue (4 huge to ample margins) tied RICHMOND / VA. cds on cover with State of Virginia, Executive Department imprint (S-VA-01, CV $500) at lower left of envelope, embossing under top back flap “Manufactured by Waterlow & Sons, 65 to 68 London Wall, London.” to George W. Sites, Esqr., General Hospital No. 3, Lynchburg, Va. $250. George Walter Sites served in Company D, NC 21st Infantry at Salem NC. and was appointed secretary to chief medical officer of Army of Northern Virginia. CSA 11-AD, 10¢ blue (4 huge to ample margins) tied RICHMOND / VA. // SEP / 29 / 1863 cds on legal-size State of Virginia Executive Department illuminated envelope with Virginia seal (S-VA-03, CV $750) to the Clerk of the County Court, Southampton Courthouse, Va., light water stains at top. $400. Richmond / Va. // AUG / 6 / 1861 cds with matching handstamped PAID 5 Cts on State of Virginia Office of the Second Auditor Executive Department imprint, addressed to Wm. Kent Esq., Lynchburg, Virginia. Reduced at top with tiny restored upper left corner. $450. 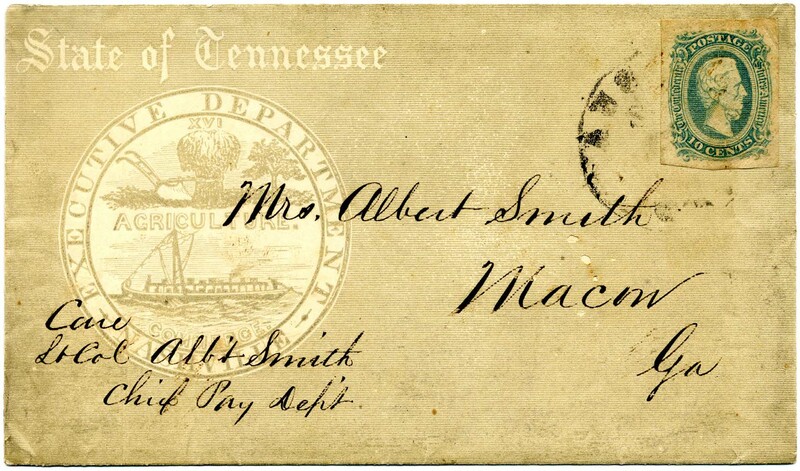 CSA 11, 10¢ blue (4 margins, tiniest faults) tied AUGUSTA / Ga. // SEP CDS on all-over illustrated gray State of Tennessee Executive Department / Agriculture / Commerce / Nashville (CSA Catalog type S-TN-01) addressed to “Mrs. Albert Smith, Macon Ga Care Lt Col. Alb’t Smith Chief Pay Dept;” although there are numerous by the name of Albert Smith in the records, the most logical is Albert W. Smith of Co. A, 25th Georgia Infantry who was hospitalized 9-29-63 in Floyd House Hospital, Macon, Georgia; top back flap missing otherwise Very Fine Gem. $550. US 26, 3¢ red star-die entire with H. St. George Offutt signature on Post Office Department, Official Business, Chief of the Contract Bureau (CON-02c) to the postmaster of Leavenworth, S.C., manuscript "Wm. Young Appointment" at top, FREE handstamp, Richmond cds, Very Fine. $280. CSA 7-L, 5¢ blue, two pairs (lower left the FILLED IN FRAME variety) tied double strike of RALEIGH / N.C. // JAN / 15 (?) double-circle cds on legal cover to Confederate Congressman J. G. Ramsay, Richmond, Virginia, with scarce imprint of State of North Carolina, Executive Department (CC type S-NC-01, CV $500) shown in CSA Catalog in black and white, indicating editors had not seen one in recent years. Most of top back flap missing, fold at left for regular-sized cover display. $230. James Graham Ramsay biographical information on linked page. Unused letterhead with imprint of Confederate States of America War Department, Engineer Bureau, Richmond, Va. with space for day/month and year “18..” Pristine quality blue laid paper with watermark “JOYNSON 1863” measuring 8” x 3 ½” as shown. Opens to 10” x 8” when folded in half to present four writing sides (thus 16” wide when fully open). Imported paper from Joyson’s Paper Mill (England) for government use. $35.